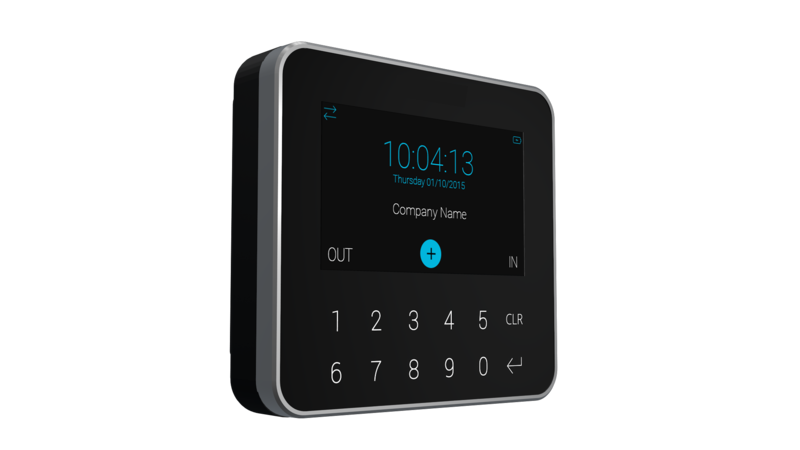 With the versatile and popular X1 Time Terminal, employees can clock in/out using Fingerprints, Proximity cards (125Khz RFID, HID, Mifare, Legic), magnetic and IR barcode cards. A full display shows the employee's time balance at any time. The X1 is a LAN Terminal communicating over TCPIP not requiring separate wiring while also offering Power Over Ethernet (POE), thereby not requiring separate power. Other versions include dial-up, GSM/GPRS, and Wi-Fi. The X3 offers all of the features of the X1 Terminal, but with the addition of having HTTPS technology with Cloud capability to guarantee safe and encrypted communication with the server. 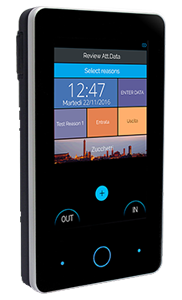 The SuperGlass offers all of the features of the X3 Terminal, but with the addition of having employee focused functionalities. Employees can make Business Absence, Job Timing, Overtime and TOIL recording. MultiTime regularly enhances user capability at the SuperGlass with the most recent example being employee access to the "Open Scheduling" features. See "Denbighshire Council" Case history. 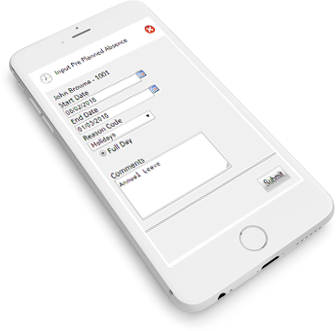 VisionTime Mobile ( VT Mobile) allows employees to clock-in and out, request time off, record job times using a mobile phone by accessing a clocking page on the phone. The actions are then transferred immediately to VisionTime. In addition to VT Mobile GPS, the location of the employee when recording time is recorded and is accessible to Supervisors. Employees can clock-in and out, request to take time off or to swap a shift and record job times using their own PCs. This can all be done in conjunction with other clocking and electronic methods such as mobiles or PC tablets. PC Clocking is easy and fast to use. Employees can tell the system where they are going and when they expect to return using a drop-down box on the clocking screen.